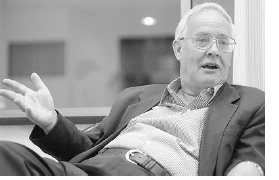 Benedict Anderson is one of the most important theorists of modern nationalism. We know that [newspapers] … will overwhelmingly be consumed … only on this day, not that … The significance of this mass ceremony—Hegel observed that newspapers serve modern man as a substitute for morning prayers—is paradoxical. It is performed in silent privacy … Yet each communicant is well aware that the ceremony he performs is being replicated simultaneously by thousands (or millions) of others of whose existence he is confident, yet of whose identity he does not have the slightest notion.